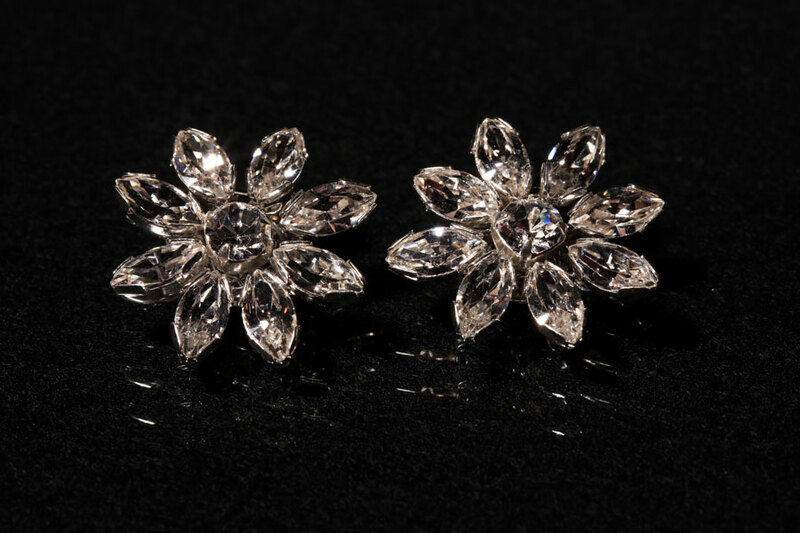 Elegant Swarovski Navette cut stones backed in silver, woven into a flower design with silver coated wire and mounted onto a silver toned shoe base. Price is for clear stones only. All sizes are approximate. Please contact us for additional colour prices. Prices do not include P&P.